If you’re reading this, you probably are close to completion of one full year of your wedding anniversary! Congratulations on it. Though it’s not a big feat, you did achieve a milestone. And, it’s a time to celebrate. Husbands love gifts too. And, that too when you surprise your guy, the joy you bring in him is tremendous! Obviously, not every guy is the same, so you will have to put in some time into thinking what is the best gift for your husband on the first anniversary. In this one year of a fun-filled relationship, you would have had ample time to discover what your husband likes and dislikes. But, the real problem is when you know your husband is the i-don’t-like-gifts kind of person. In that case, finding anniversary gifts for husband is a real challenge. The solution would be, you should go for something that involves both of you! However, the anniversary gift need not be a tangible thing at all! You could very well tell a good story, or say thanks to what all your husband has done for you! So, remember the personalized things that you share in common. 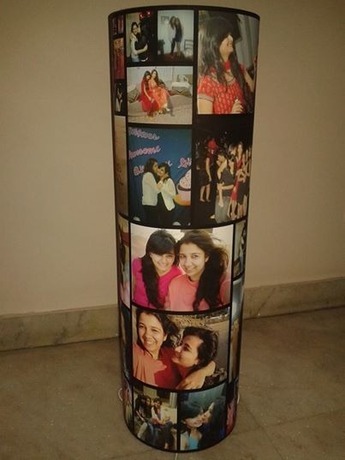 The idea is to remember the personalized memories, and then work on that to create a gift. If you’re the getting into nitty-gritty details, you could very well hand-craft something, giving a more personalized touch. 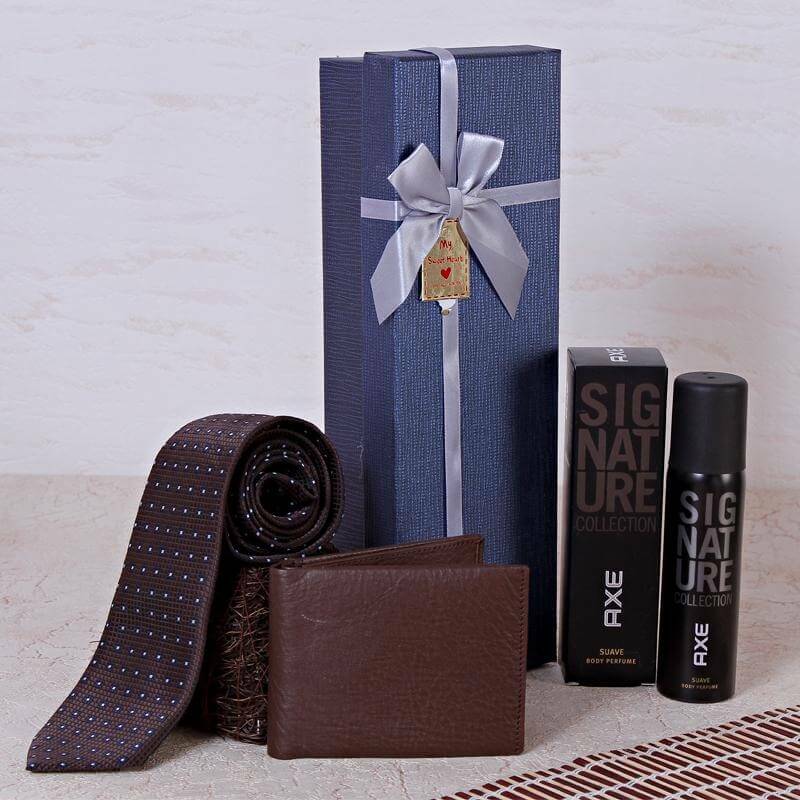 That being said, our personalized gift connoisseurs have worked hard to suggest some of the best gifts for your husbands, in case you are totally blank on how to start, and how to surprise your husband for the 1st wedding anniversary with gift. By now, after spending one year of togetherness, you would have understood well about each other. 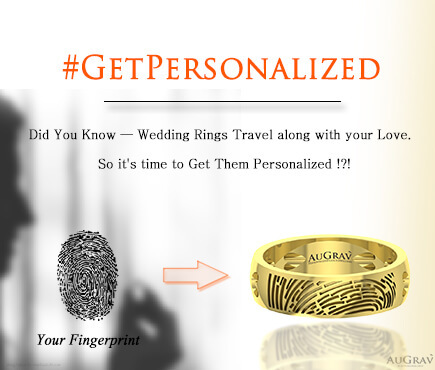 A personalized gift is always exclusive to you based on your style. You husband will love the gift that reflects his personality. Choose a gift that reflects yourselves and his character. 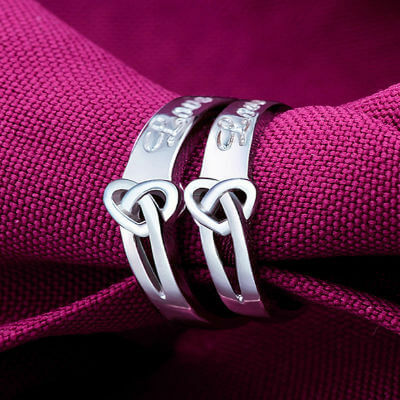 If you look for some budget gift yet a memorable one, then you can go with Sterling silver couple rings. Engagement rings and wedding rings have more importance because a ring is a symbol of vows exchanged with the partner. 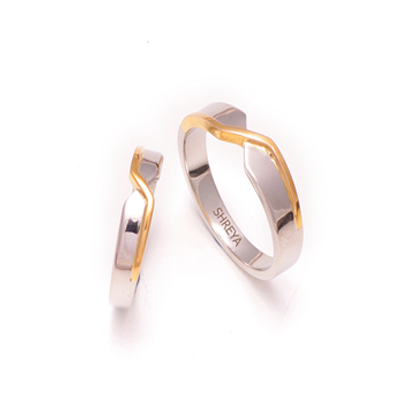 But anniversary ring is to cherish the memory you have spent together. 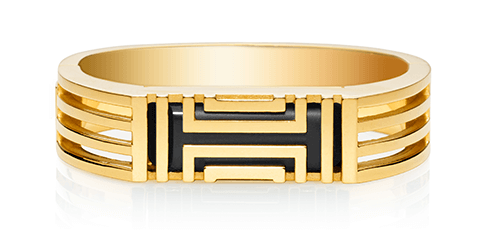 You can bring one-of-a-kind anniversary ring for your husband by choosing a right design based on your his preferences. Also you can try with some Couples rings that is available in platinum which makes your first wedding anniversary complete. If you are not sure what your husband likes, then delight your husband on 1st wedding anniversary with this combo gift box that has the things that every Indian man would love to have. 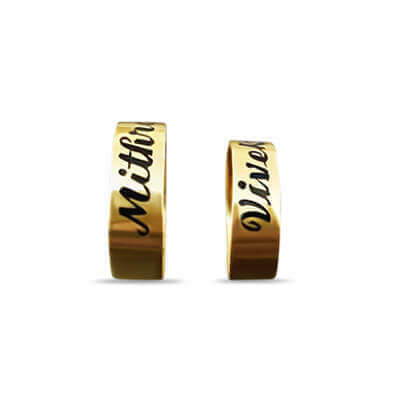 Show your love for your husband by presenting this Heart engraved cuff link on your marriage anniversary. 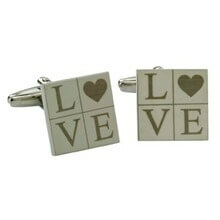 You can add some secret symbol on the cuff link that only you both know. 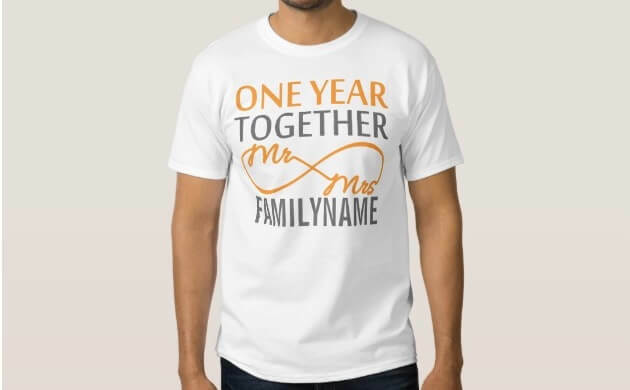 It could be a unique gift to express your love on your husband’s 1st marriage anniversary. 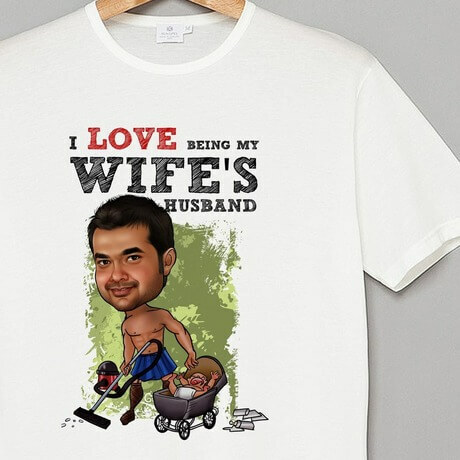 You can think of any message to print on this caricature T-Shirt that suits your husband. This hand drawn image will be to on your his tee. This could be a unique and thoughtful gift you can ever present to your husband. Collect the best photos of one-year togetherness that you have taken on wedding, honeymoon, casual stills, going for tours, etc. Make sure images include emotions like love, care, affection, naughty things you have done together. Let this unique light illuminate your bedroom. 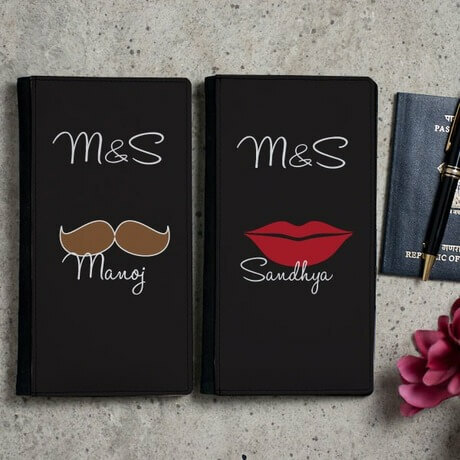 Personalized passport holder is the best idea if your husband is a frequent traveler. You can personalize with your name and photo. He will always feel your presence, wherever he is in the world. 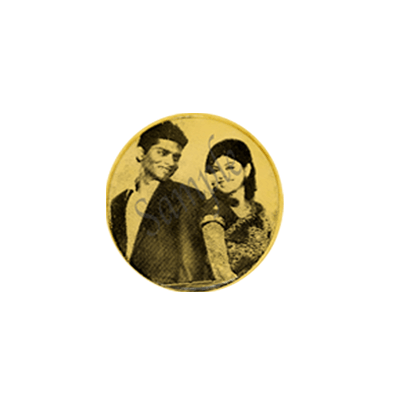 If you want the gift to your husband on the first marriage anniversary to be a statement of your style, taste and something that last forever, you would prefer these kinds of engraved gifts. 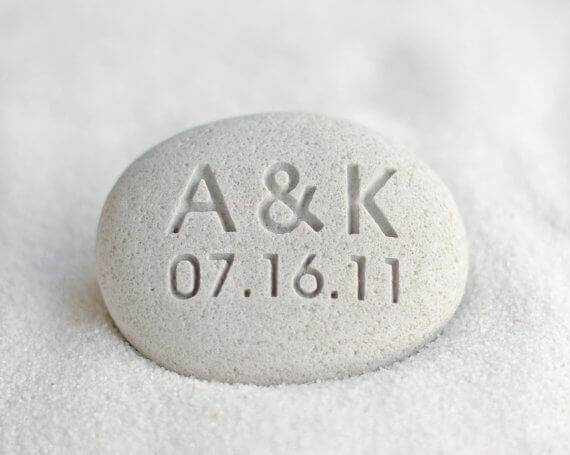 You can choose to engrave initial and wedding date on the stone. 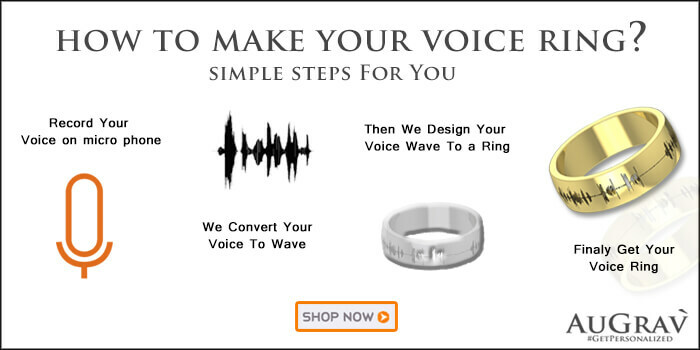 You can surprise your husband on your anniversary with this wearable activity tracking device. A perfect anniversary gift for fitness freak or techie husband. This device will track sleeping schedules, workout, etc. It can, be connected with the smartphone. Every man would want to know what his wife loves about him, and wedding anniversary is the best time. 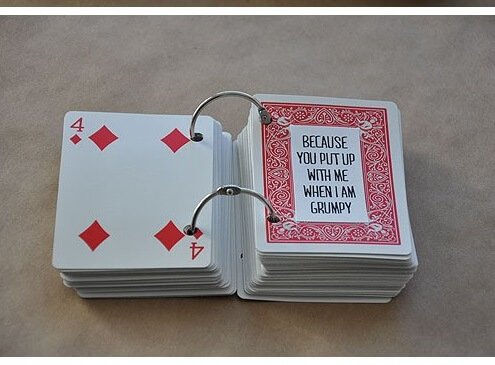 Write what you love about him on these cards and present this to your husband on your first anniversary. 10 Best First Anniversary Gifts Ideas For Your Husband Overall rating: 4.7 out of 5 based on 235 reviews.